Get ready to feel the love! Garth Brooks is set to release, The Anthology Part III, LIVE. 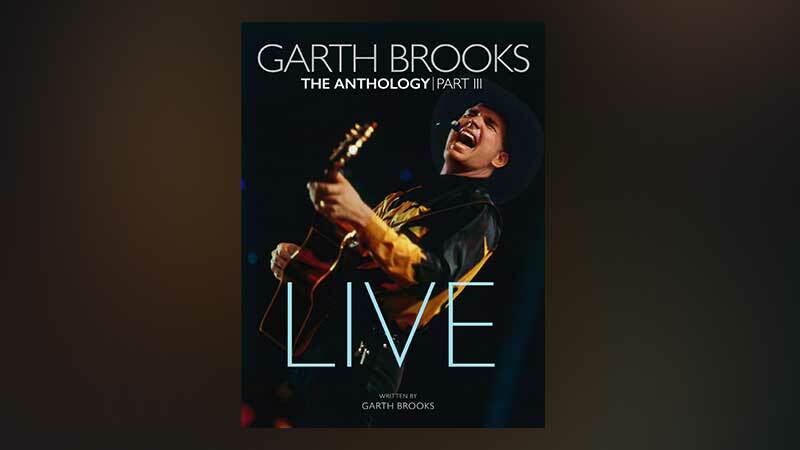 The anthology is written by Garth Brooks with Warren Zanes. It's part three of Garth's massive five-part anthology. Part III is an exciting, detailed, insider look at the electrifying concerts of Garth Brooks. You'll read about Garth's first chance to play live at age 19. It was a job offer at Opryland USA in Nashville, but Garth's dad sent him away to college to keep him from playing. Some forces can't be stopped. From being a bar bouncer to playing with only a few people watching at Willie's Saloon in Stillwater, OK; to being an opening act for Reba, The Judds and Kenny Rogers; to finally headlining his own tours throughout the '90s, you get to watch the audience grow larger and larger with each show all the way to international stardom at Croke Park in Ireland! It's a journey and you are there in Garth's entourage for the whole thing. Trisha Yearwood sums it up best when she says, "I did a lot of tours with other artists, all wonderful, but this was like getting to open for Elvis." Garth says there is no difference between playing for five people or 500,000, but you get to see and feel for the first time the moments just before he went up on stage in Central Park where a million fans gathered. For many in the metropolitan city of New York it was likely their first live country music experience. Garth looked pale as a ghost, no pressure! The rest is history, told here for the first time by Garth, Trisha Yearwood, the band and crew, everyone who was right there when it all went down. The 5 CDs contain 52 live recordings, including the new live album, Triple Live. It's the soundtrack of the record-breaking, number one tour in North American history, The Garth Brooks World Tour with Trisha Yearwood. There are over 100 amazing behind-the-scenes and performance photos. There are also over 10 augmented reality experiences. Download the Garth Live app and hold it over the book cover, along with various photos inside the anthology, to watch Garth's LIVE story come to life! Part I, The First Five Years was a detailed look at the first five years of Garth's career. With Triple Live ready for release, the time was right to tell the entire story of LIVE in Part III of the Anthology! The Anthology Part III, LIVE, will be on sale November 20.